I wasn't happy enough with Beatdown's 2010 picture or design to color it so I drew this on the eigth anniversary of the Illmosis site. 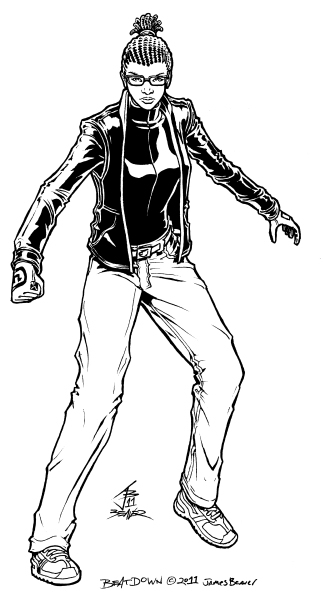 Most of the design is still based around her enhanced speed powers but with some story-related tweaks. Bits of a shared origin story I've wanted to tell for years caused me to go ahead and give her that hairstyle as a tribute to one of the in-universe characters who influenced her. 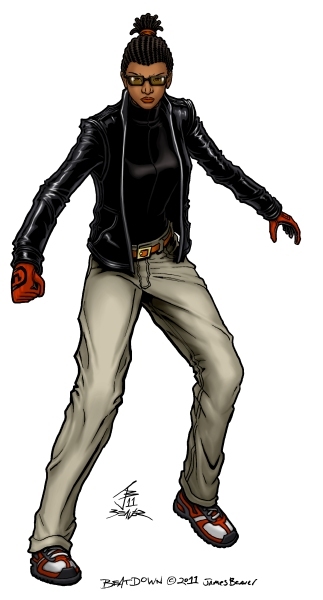 She's also wearing bits of the crimefighting outfit she'd have worn if things had turned out differently. I also wanted her to be in a pose that lets you know how much she's ready to run up on someone and lay knuckles on them. I didn't like the first version I drew of this, so I lightbox traced the old version, fixed what I didn't like and changed a few more details to make her look more like the middle ground between two of her teammates. 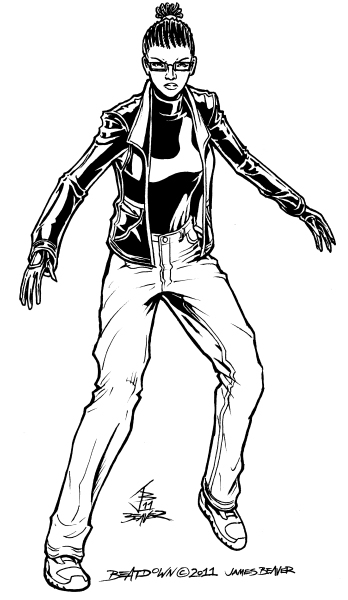 Before coloring it in 2012, I retraced it digitally instead of my usual line cleaning and made it a bit better.